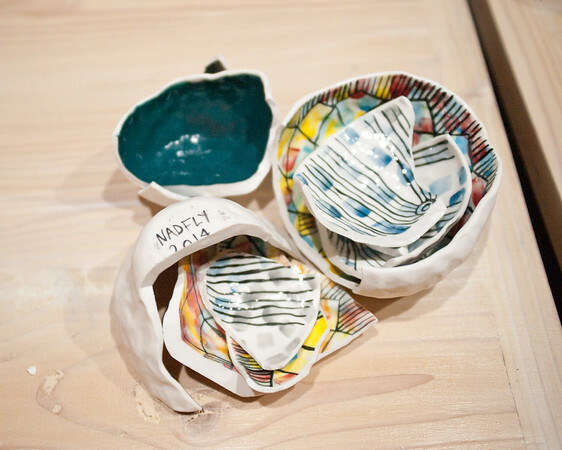 NO MANNERS is a NADFLY project. 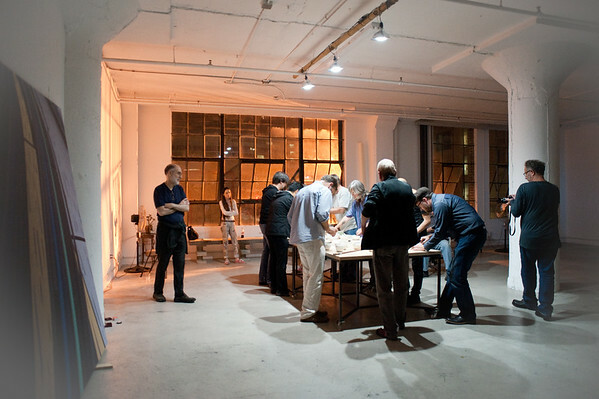 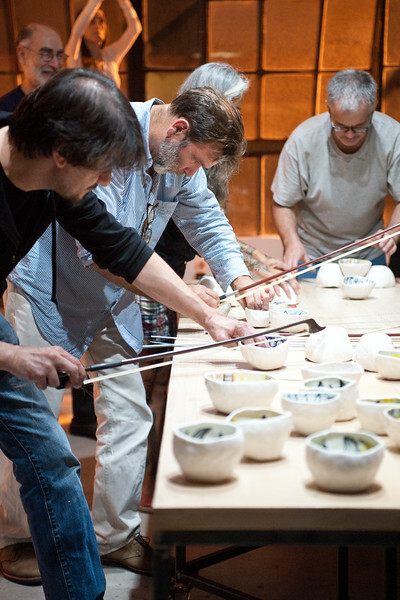 The 1st performance was at the art venue Mengi, in Reykjavik, Iceland on 19 September 2015. 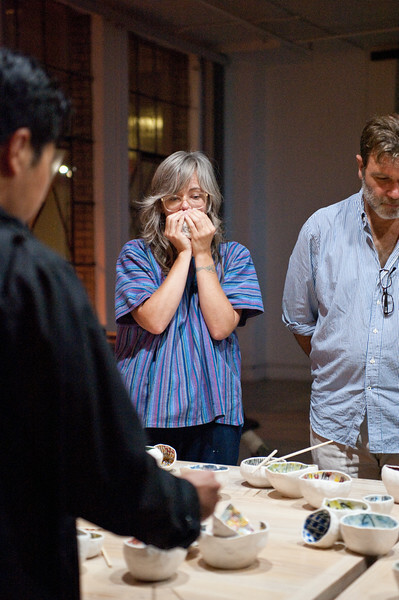 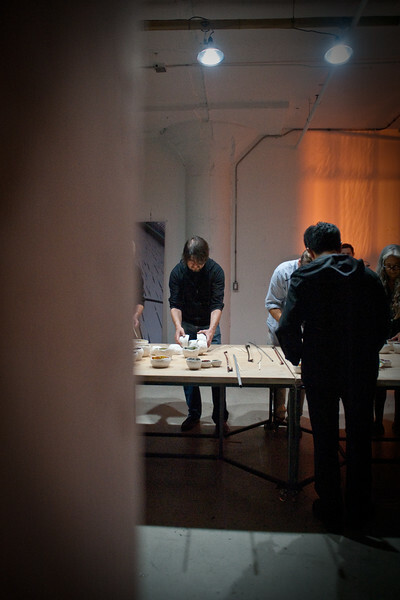 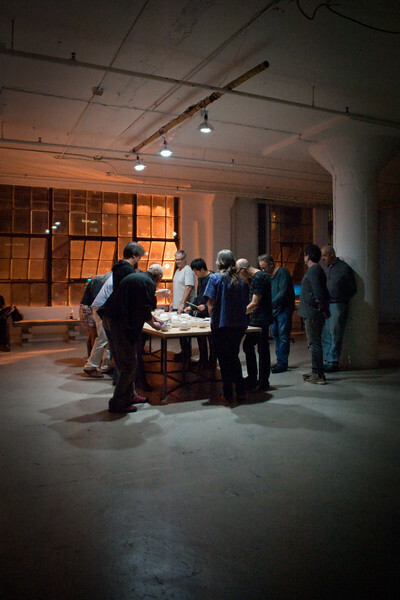 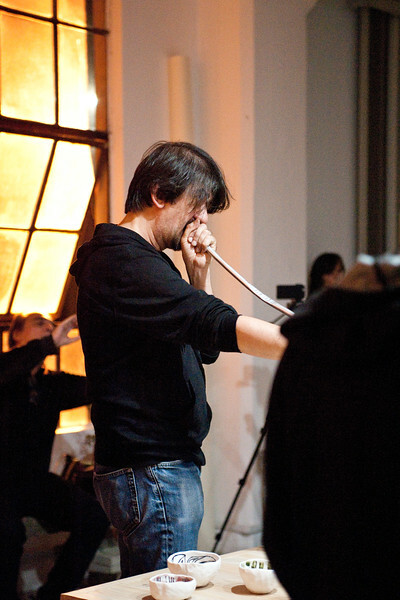 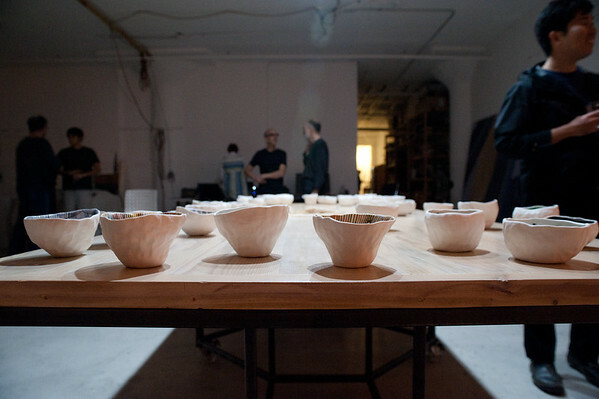 ThIs is the second performance which is being hosted by the Stephen Glassman Studio, Downtown LA. 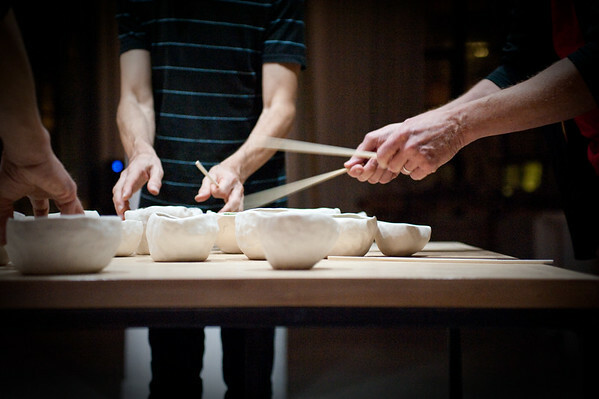 We also anticipate performing the work in a revised form in Glasgow in 2016. 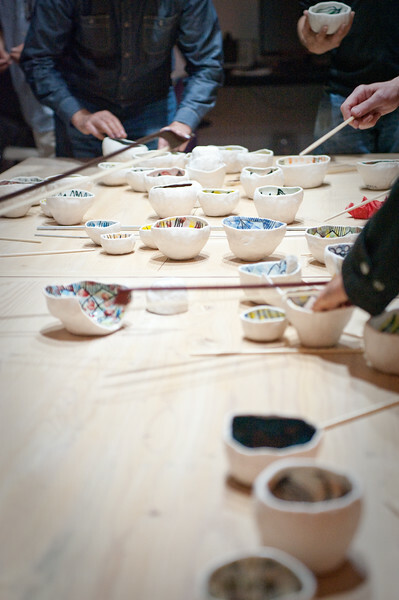 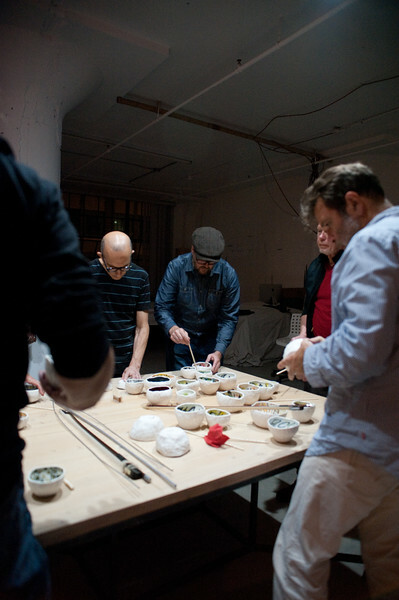 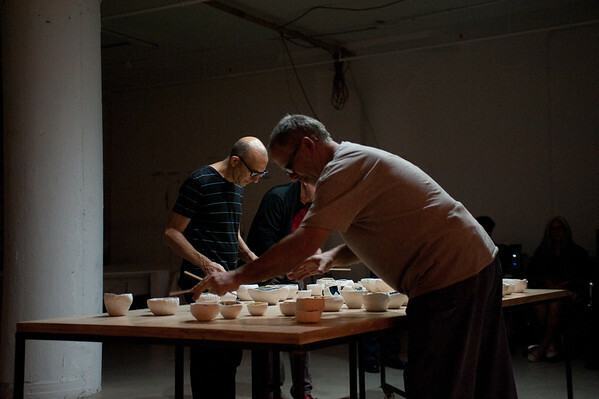 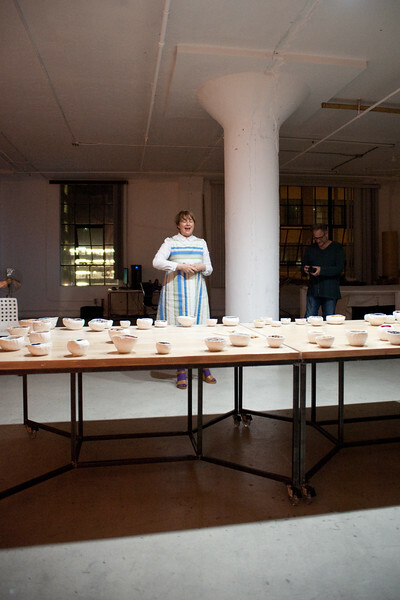 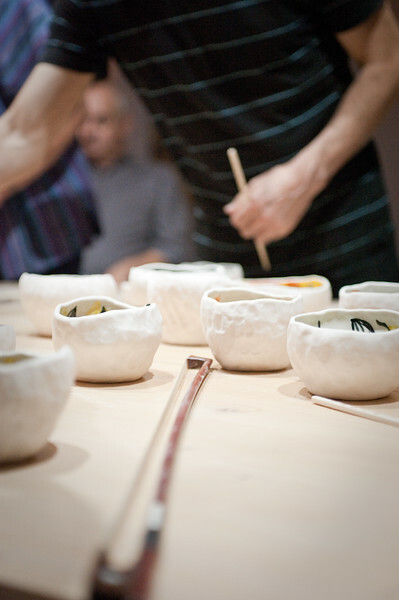 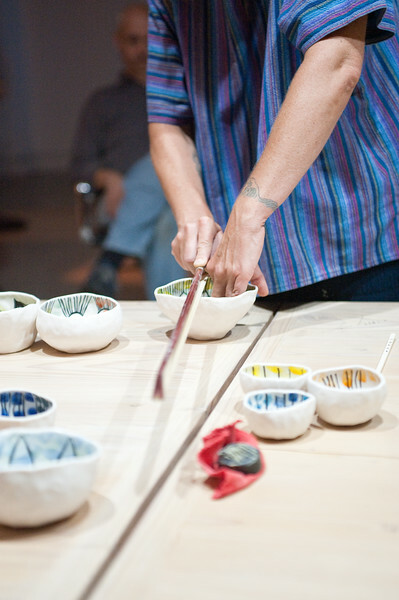 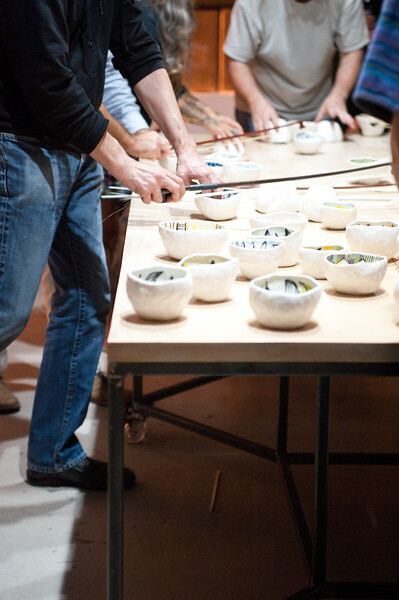 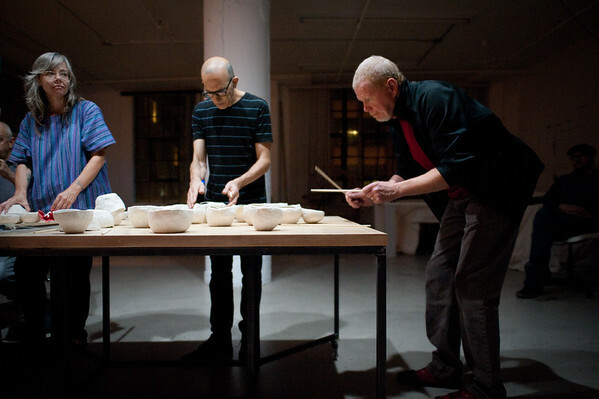 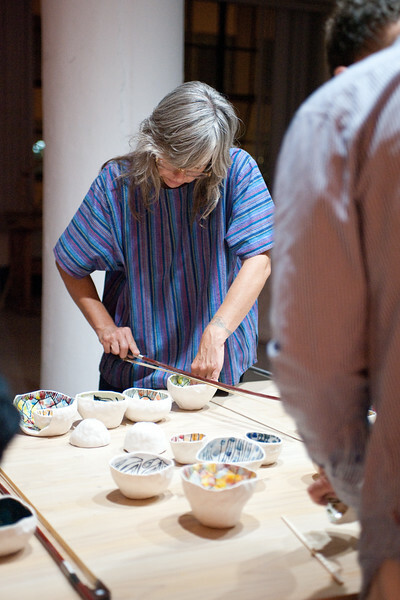 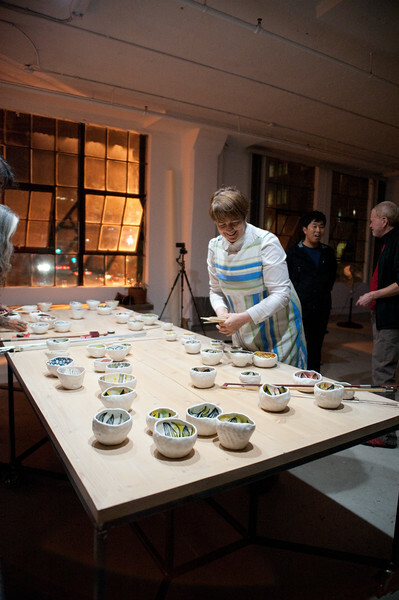 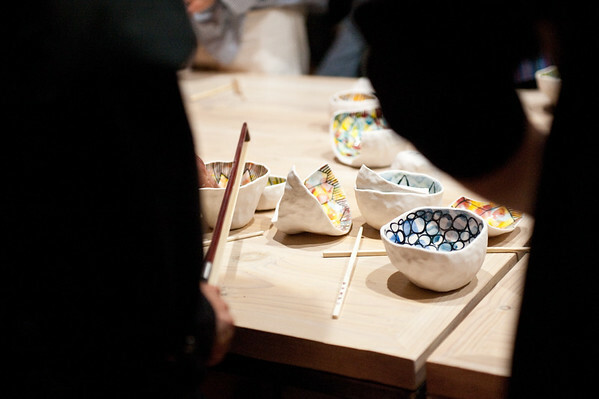 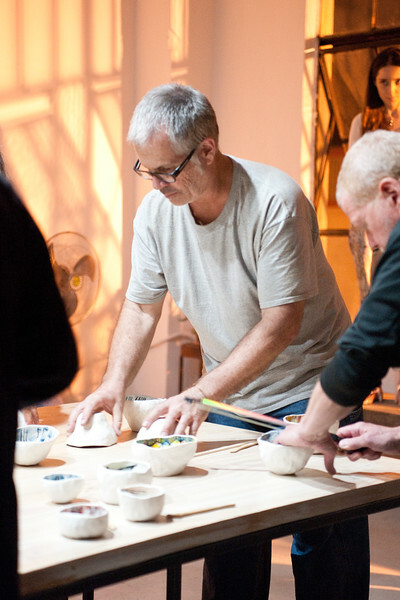 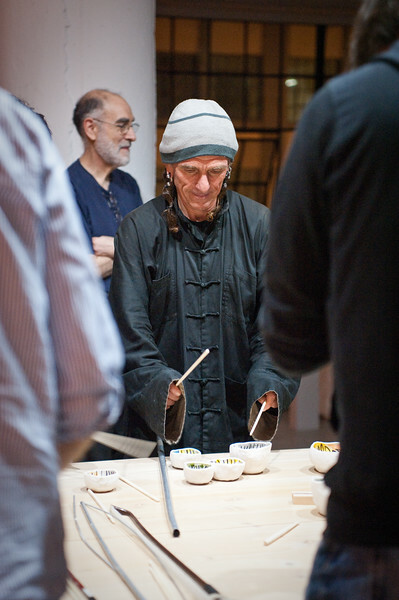 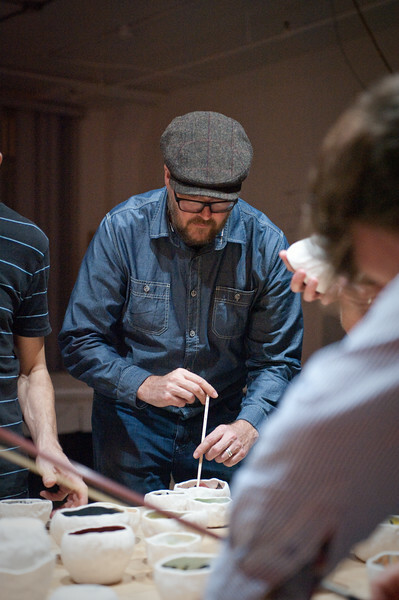 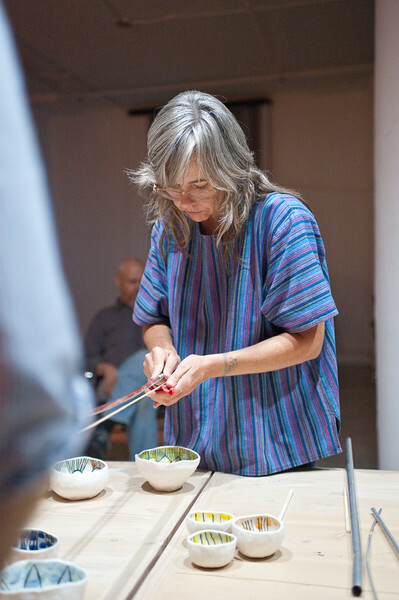 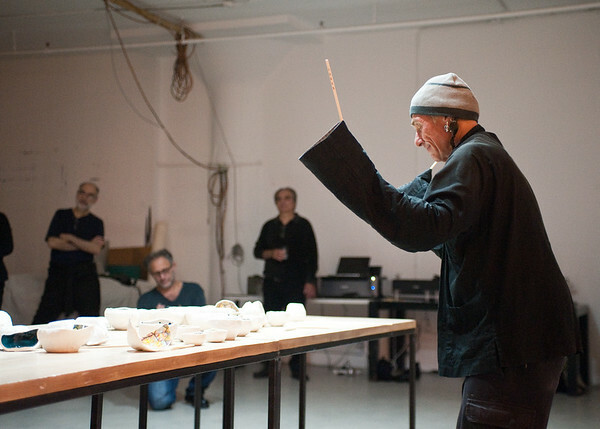 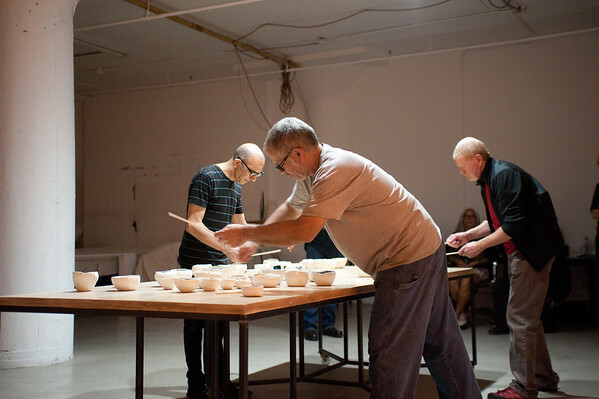 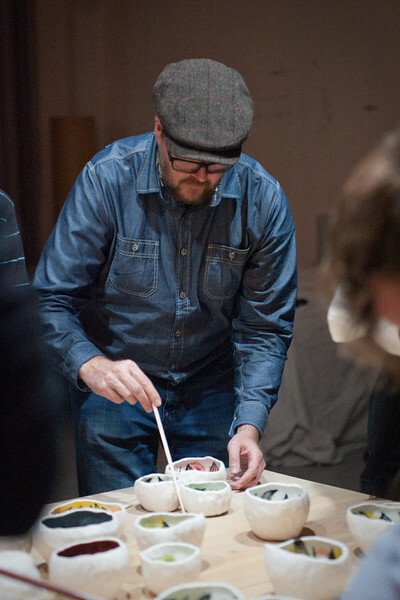 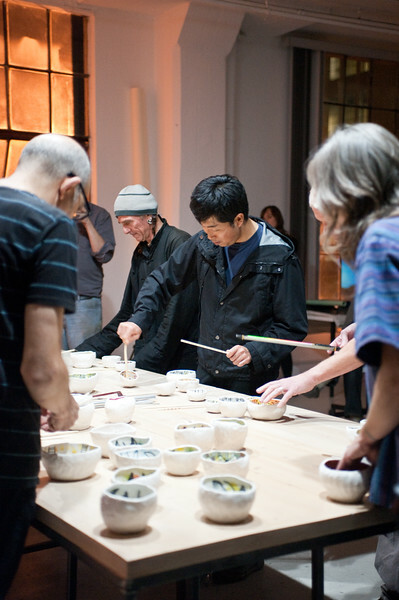 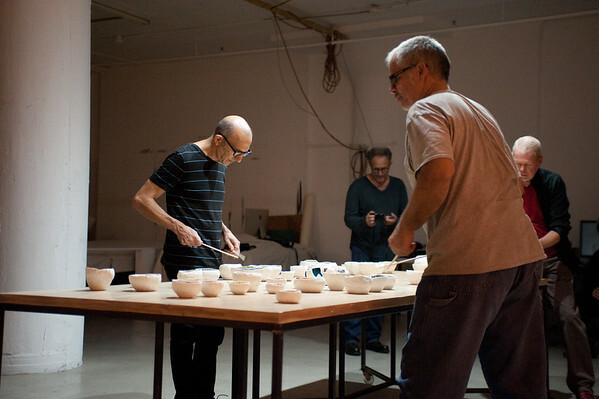 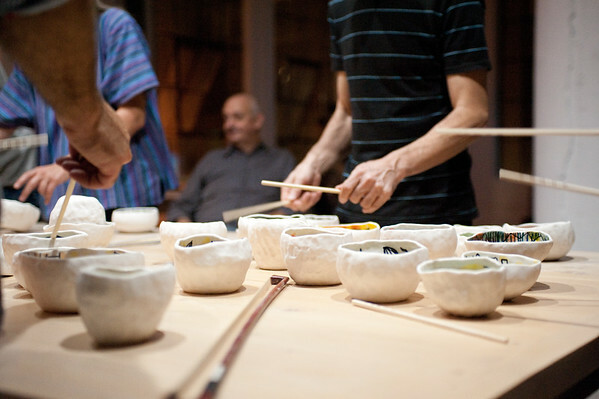 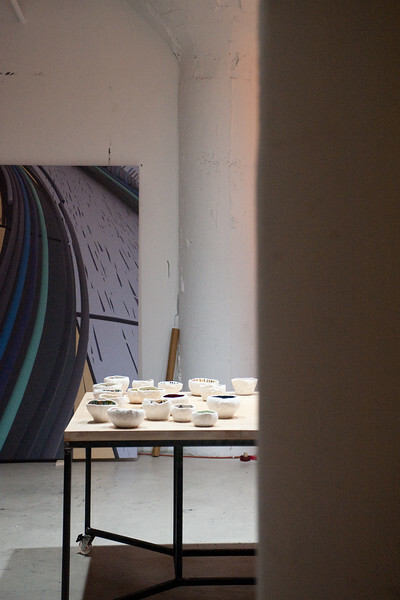 NO MANNERS is an artistic collaboration between Nicola Atkinson and Benedikt Hermannsson, using arrangements of unique ceramic music bowls to play with the expectations of musical production. 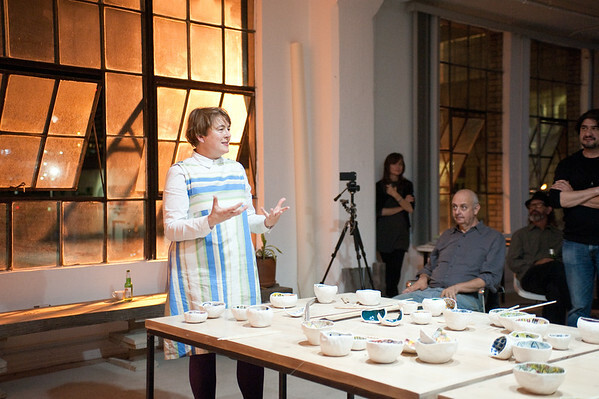 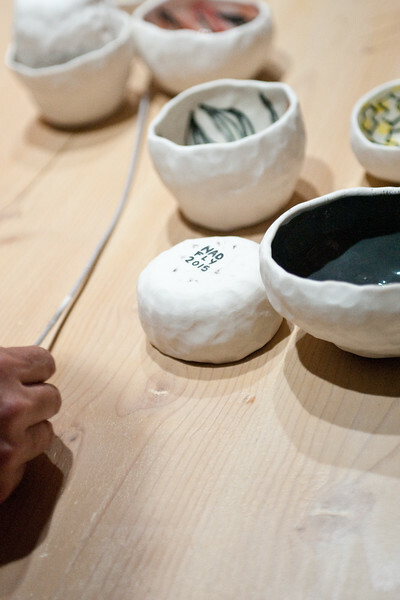 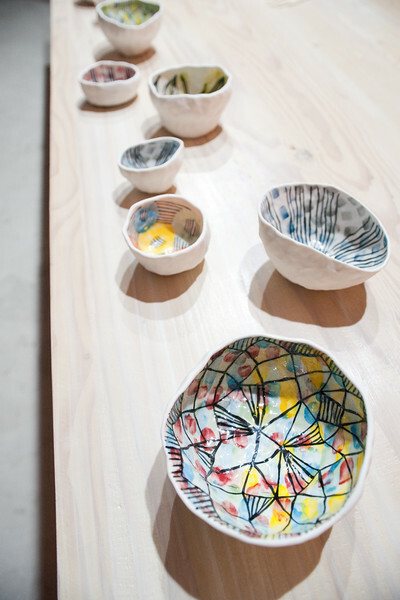 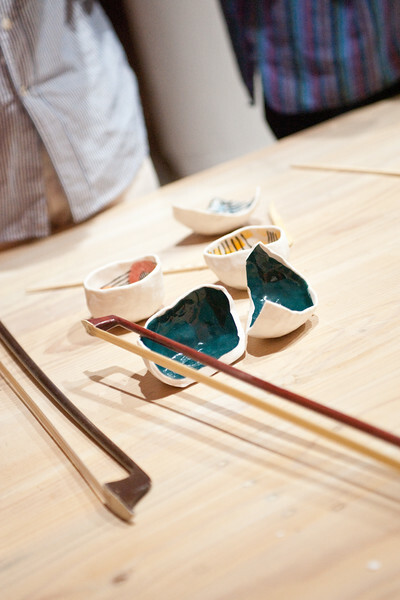 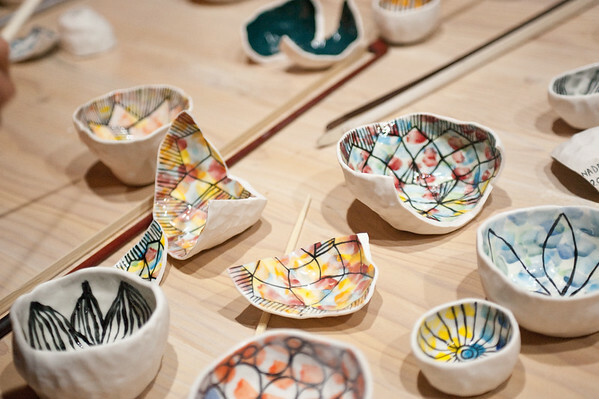 The NO MANNERS instruments are individually unique ceramic bowls, varied in size and irregular in shape. 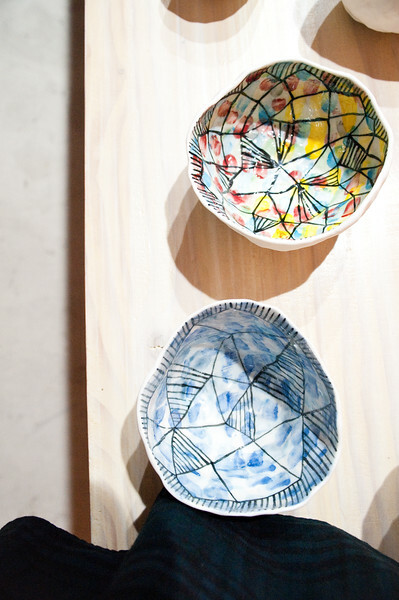 These have been produced by Atkinson over the period of a year. 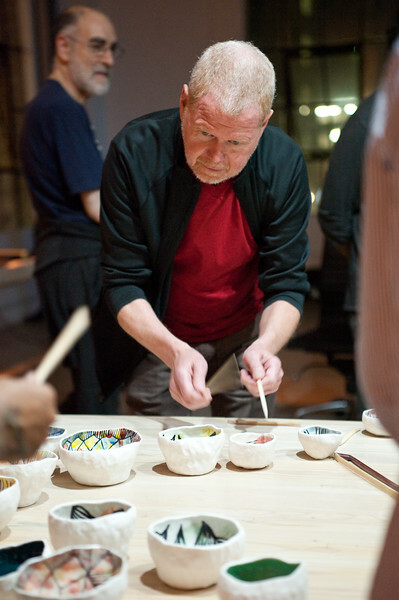 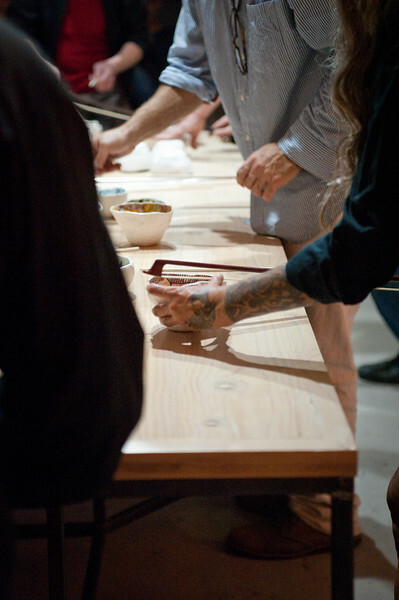 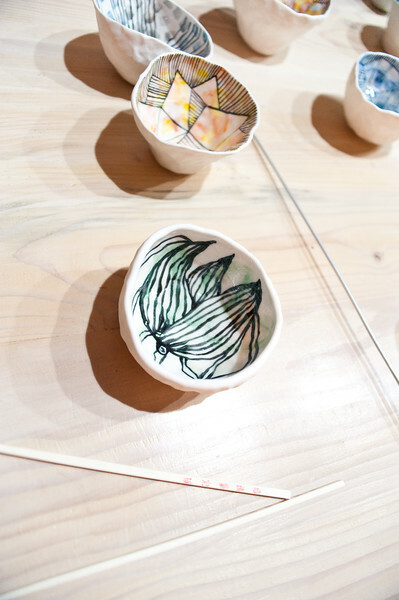 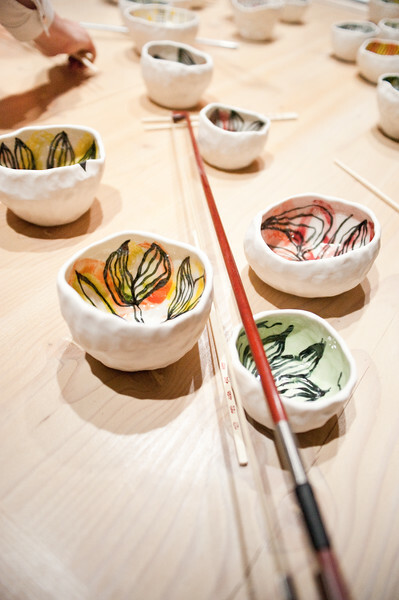 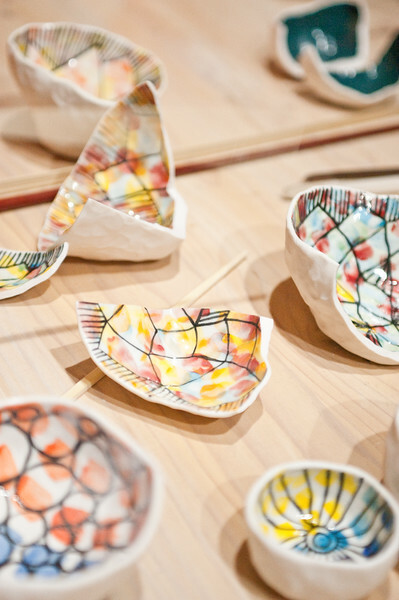 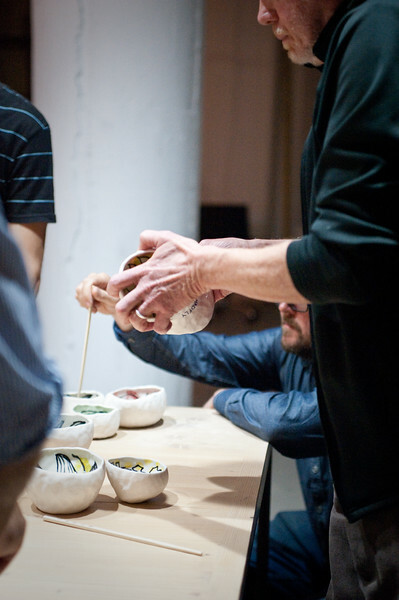 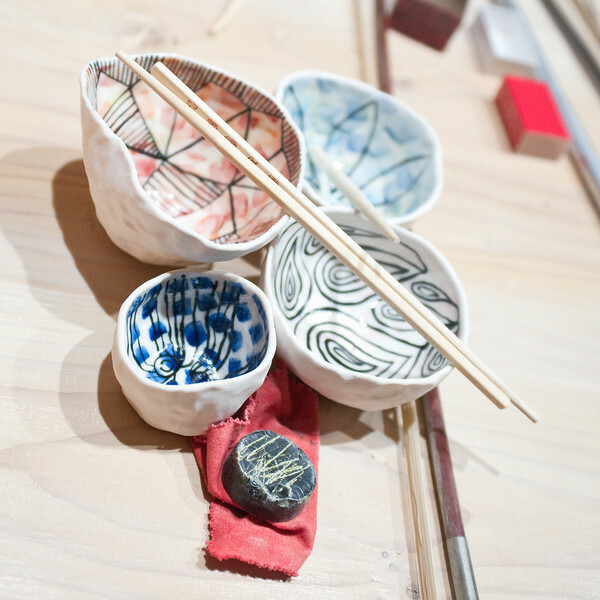 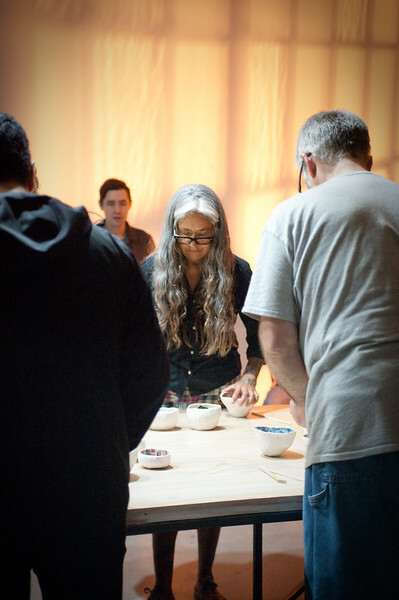 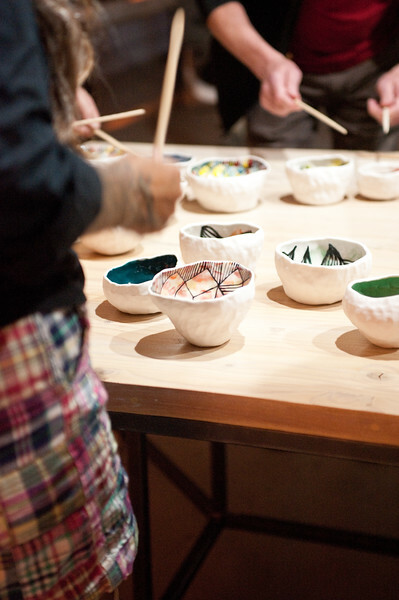 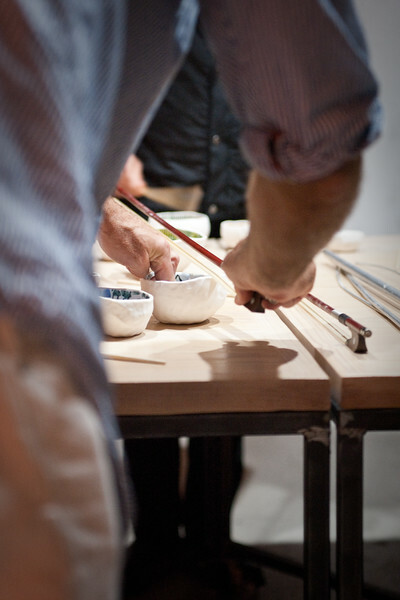 The bowls are separated into sets through different hand-painted design motifs, with the anticipation that musicians will pick one set to work with.